Fellipe Andrew tops the heavyweight podium at the Curitiba BJJ Pro. 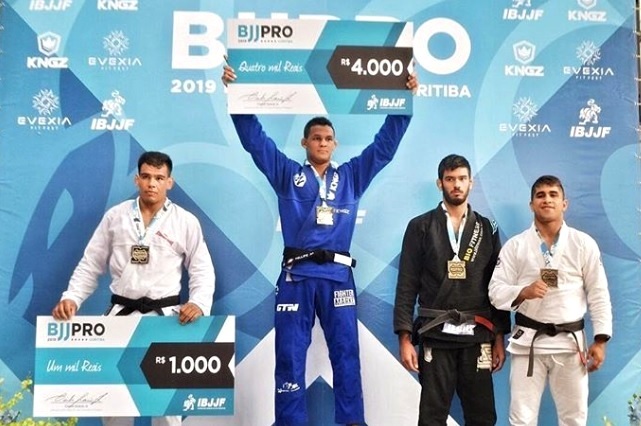 Even before the Brazilian Nationals and World Championship were turned into events with cash prizes, the worldwide BJJ Pro circuit was already making its champions richer. And last weekend it kept doing so in Curitiba, Paraná. Winners of the men’s four weight divisions and the women’s absolute got paid. At ultra-heavy, Helton José (Atos) beat Igor “Tigrão” (NS Brotherhood) for the title. 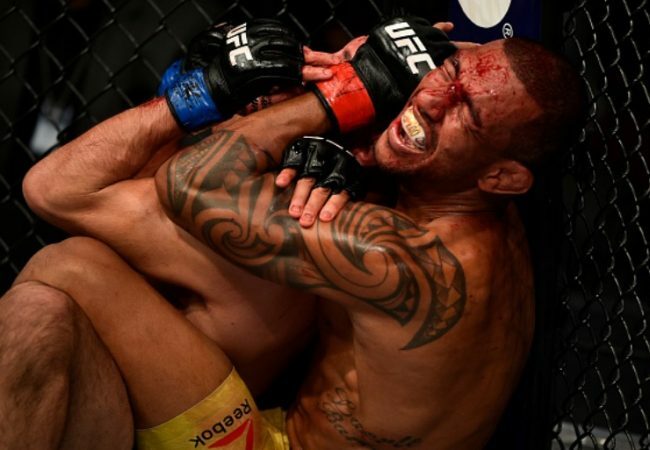 Before that, at heavyweight, Fellipe Andrew (Zenith) extended his winning streak by defeating Fernando Reis (Alliance). 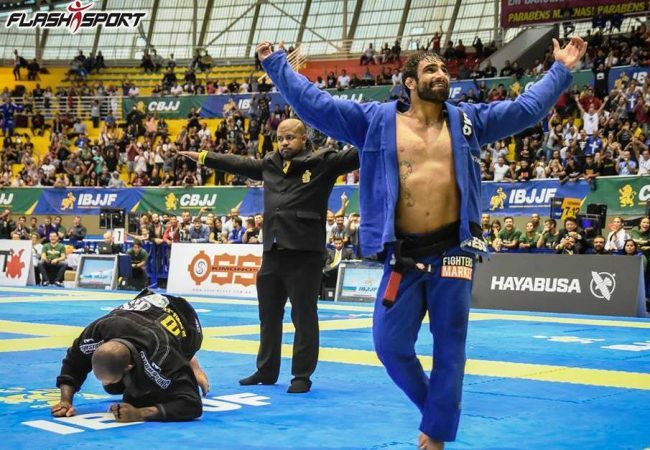 A middleweight semifinal saw Claudio Calasans let Alexandre de Jesus (Atos) through, and the latter beat Igor Chaves (NS Brotherhood) to take gold. At featherweight, Pedro Valença (Cícero Costha) bested João Paulo Neto (Alliance) in the final. 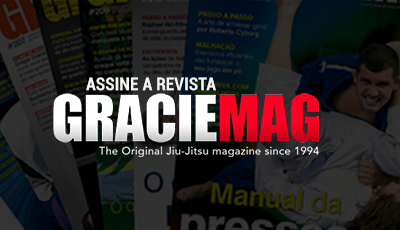 Each champion got paid R$ 4,000, with R$ 1,000 going to each second-place finisher. The relentless Claudia do Val (De la Riva) was also victorious. Unopposed at super-heavyweight, she got to focus on the absolute, in whose semifinal stage she beat Renata Marinho (Alliance), earning a spot in the final opposite Sabatha Lais. Claudia proceeded to beat Sabatha, claiming her own R$ 4,000 check.